Quality Carpet Cleaning Gloucestershire is one of the leading companies in the Gloucestershire when it comes to carpet cleaning, but we also offer upholstery cleaning and tile and grout cleaning, which means that we can offer all types of solutions when it comes to your cleaning needs in the county. 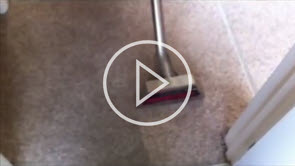 Carpert Cleaning – Using our state of the art truck mount carpet cleaner, we are able to clean any type of carpet in any sized room, from domestic properties through to large commercial premises and above anything else, our results speak for themselves. Upholstery Cleaning – If you need your sofas or chairs cleaning, then our equipment and cleaning materials will leave your upholstery looking as good new and smelling like they day you purchased them and we have the results to prove it. Tile And Grout Cleaning – We offer the full tile and grout cleaning, ideal for many situations with things like swimming pools, catering areas and public areas, with the results amazing the prices totally affordable.